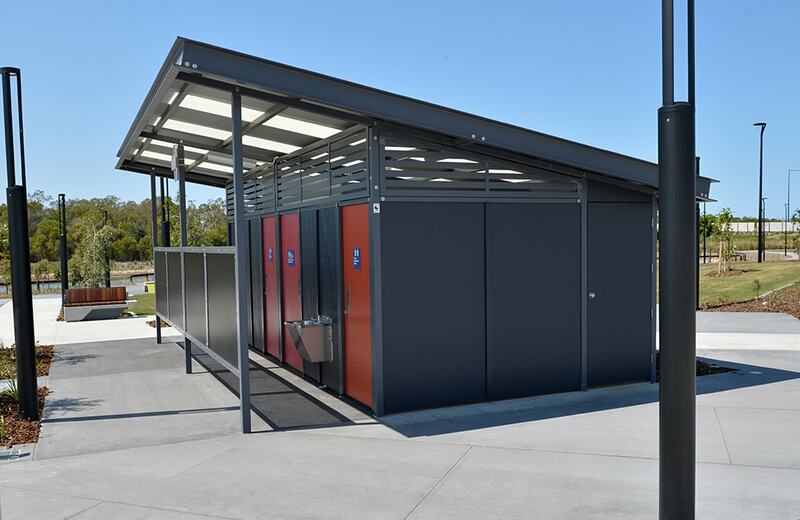 This striking three-cubicle restroom serves the town square of what is Australia’s largest ever master-planned community. 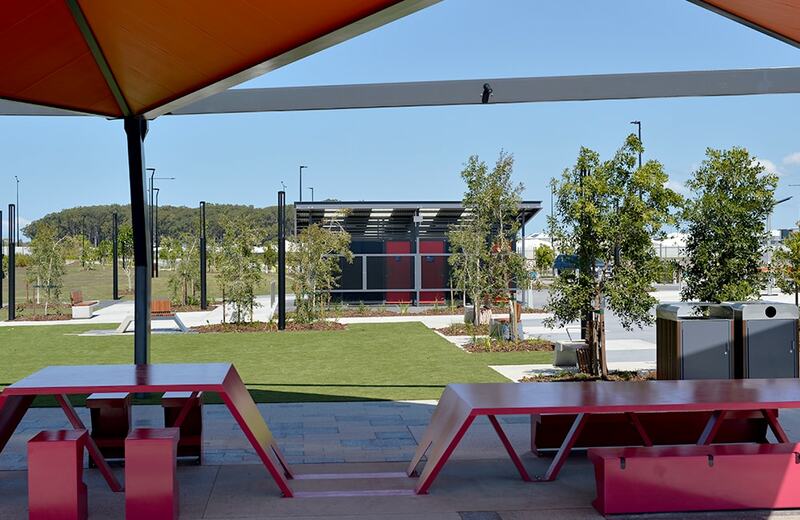 The town square, featuring a skate park, grassed areas, and plenty of picnic shelters and tables, is the latest park developed for the fast selling residential boom town called Aura – south-west of Caloundra. 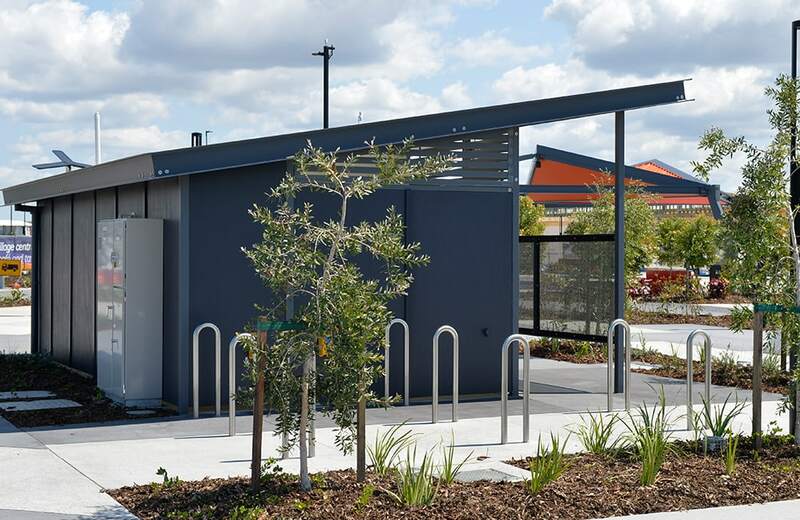 The three-cubicle Caretaker restroom supplied by Landmark is in addition to two other restrooms, three pedestrian bridges and assorted street and park furniture already supplied to the exacting requirements of this Stocklands’ development. 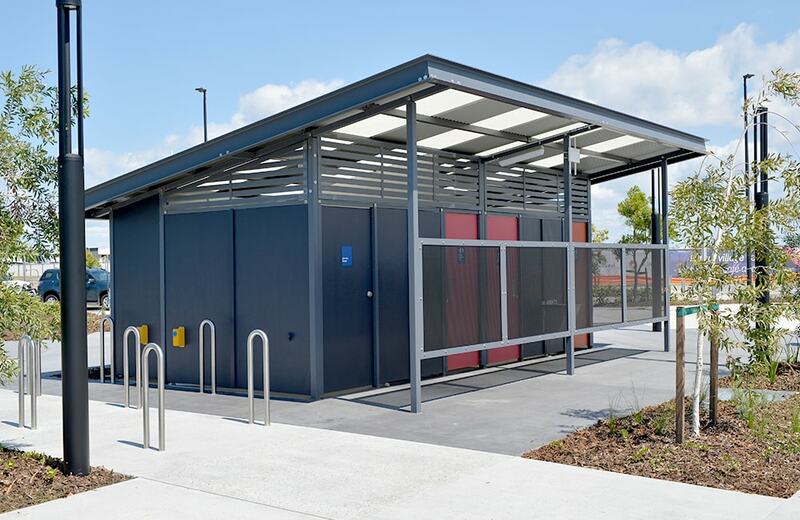 In addition to the public toilet facilities, this building includes a five square metre plant room which is used to house electricity switchboard data, an irrigation controller, and a “Smart City” box, which controls the public access Wi-Fi. 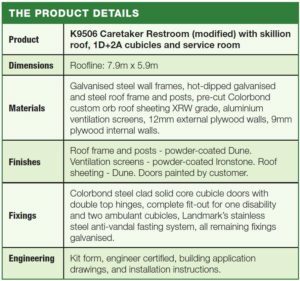 The service duct at the rear ensures that all three of the in-wall toilet systems are protected from vandalism, and offers even more extra storage space. 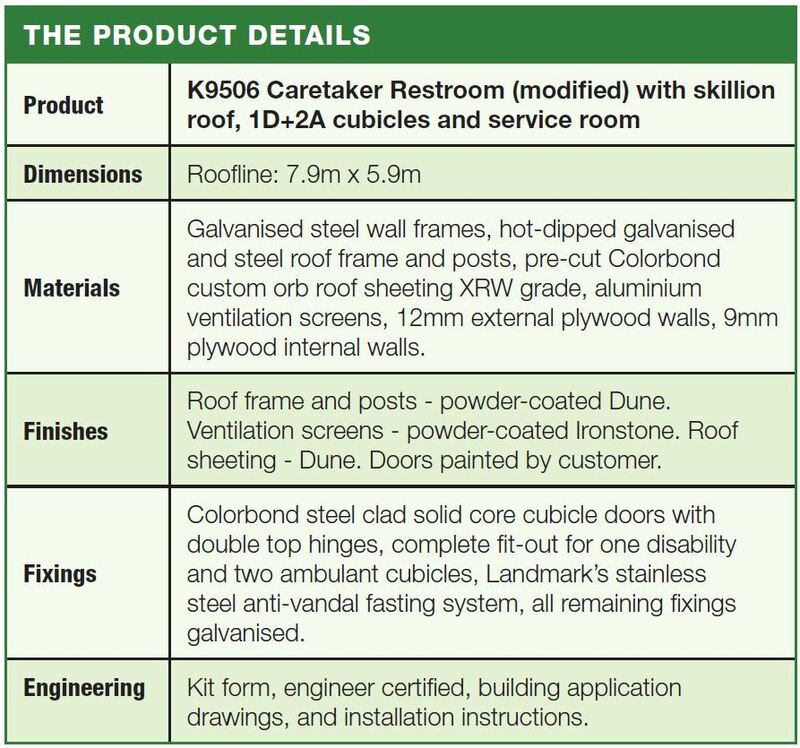 As with all Landmark restrooms, this Caretaker was delivered on-site in kit-form with installation instructions. 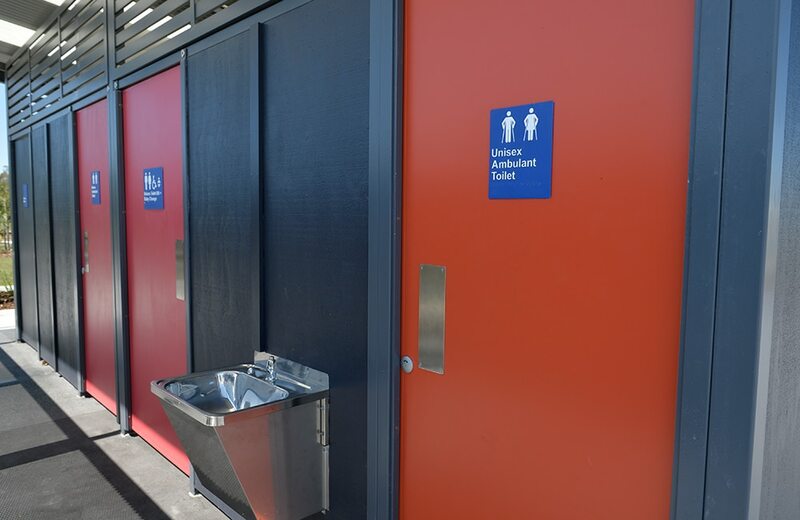 On this occasion, the restroom was installed by contractors. With up to 10 families a week moving into Aura, the park which is advertised as the future “heart of Aura” is destined to be well used. Over the next 30 years, Aura will be home to around 50,000 people and is planned to include over 20,000 new homes, two business parks, 10 sporting grounds, 25 community facilities, 20 school/education facilities, 700 hectares of conservation and park areas and 200km of cycle ways and walking paths.